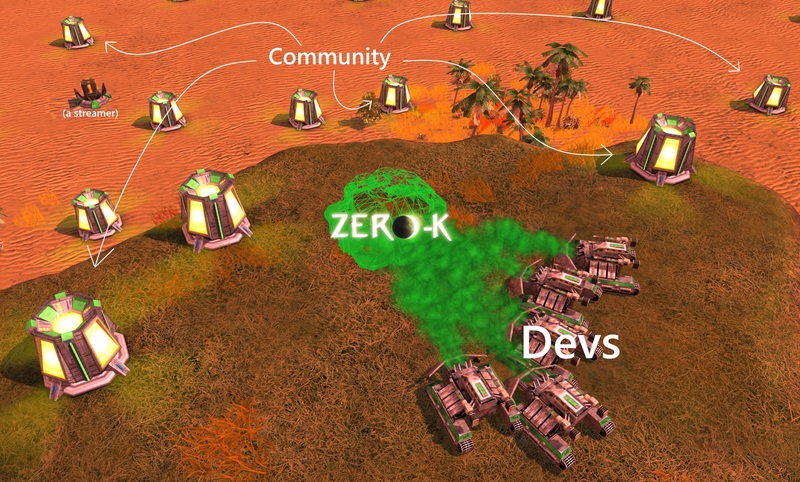 Zero-K soon on Steam - Tell everyone! Ask friends (acquaintances, passers-by) to get Zero-K on Steam, after all, it's free! Get Steam Zero-K and write a review. This tells Steam to tell more people about Zero-K.
Be as nice possible to new players and help them out. They will appreciate it will help set up a good community standard. Thanks everyone for supporting us this far! Don't include me in that Licho. I never had predictions that unrealistic. come oooooooooon, i want to play! Now you can play it. Congrat devs for your work. I hope ZK will be great popularity in Steam. Prepare for the swarm of reviews dismissing the game for its graphics/arts or compare it to Supreme Commander. people have complained about OpenTTD graphics(on a different platform)- it wouldn't surprise me. since it's Steam, bonus points for it being painted as some massive scam. but i have no friends (literally) but i will tell my mom then. but beware. you will outfail her. After watching some streams, I think Circuit on normal difficulty is too handicapped. Most streamers will try normal first, and Circuit on normal difficulty doesn't make gameplay look exciting. Most streamers will be learning the ropes as they go, so it shouldn't be too hard. But isn't easy usually supposed to be the difficulty for learning the basics? Normal is often just non-handicapped, non cheating AI opponent in other RTS games, the audience might expect that and really underestimated how good Circuit can be. It will be less misleading if the streamer try normal first, finding it too hard then turn to easy. Thats sort of true, people expect "normal" to be non-cheating. I still think you might be underestimating normal Circuit and overestimating (at least some) new players. It is a change that could be contemplated though, if only because the jump from Normal to Hard is pretty rough. I suggest you to push open source tag more on steam. Free to play is currently like cancer and more like pay to win. Open source tag brings quality crowd. 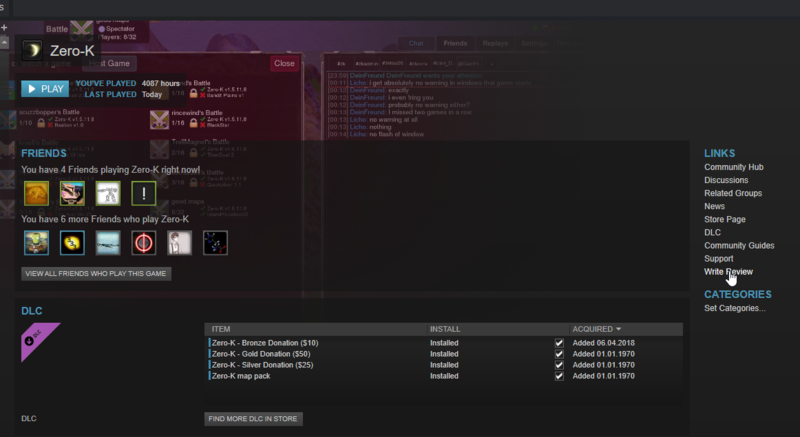 PS you cant install on linux from steam? And one more thing these DLC looks like "cancer" I understand what these actually are, but that button buy all and DLC in general gives bad first impression. You have to write clearly that it is completely optional and not needed and doesnt impact gameplay in any way very clearly. From first glance even to me it wasnt clear. Yeah, they need a freeware tag and a open source tag. Not all open source games are free, like Tales of Maj'Eyal and Frogatto.